Online Terms and Conditions of Sale. 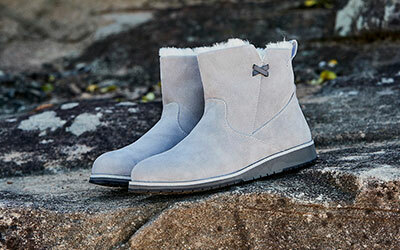 The website at www.emuaustralia.com (the “Website”) is operated by EMU (Aust) Pty Ltd (the “Company”) which is registered in Australia under company number ACN 612 618 792. The business office is at 72 Barwon Terrace, South Geelong, Victoria, 3220. Our registered ABN is 42 612 618 792. By purchasing a Product and/or using our Website, you indicate and confirm that you accept the Terms, that you understand the Terms and that you agree to abide by them. If you do not agree to the Terms, please refrain from purchasing any Products or using our Website. 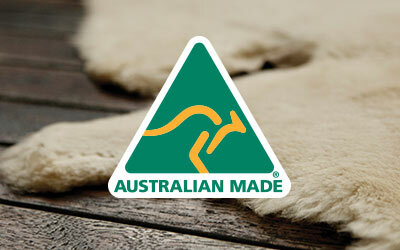 This Website is only intended for use by people resident in Australia (‘Serviced Countries”). After placing an order you will receive an email from us acknowledging that we have received your order (“Order Acknowledgement”). This does not mean that your order has been accepted. Your order constitutes an offer by you to us to buy a Product. All orders are subject to acceptance by us and we will confirm such acceptance to you by sending you an email that confirms that the Product has been dispatched (“Dispatch Confirmation”). The contract (“Contract”) between us will only be formed when we send you the Dispatch Confirmation and will only relate to those Products for which dispatch has been confirmed in the Dispatch Confirmation. We will not be obliged to supply any other Products which may have been part of your order until the dispatch of such Products has been confirmed in a separate Dispatch Confirmation. You must check all emails, including the Order Acknowledgement and the Dispatch Confirmation, and ensure that the details in such emails are correct. To exercise the right of withdrawal, you must inform us ([Emu Australia]) of your decision to withdraw from this contract by an unequivocal statement (e.g. a letter sent by post, fax or e-mail). This letter should be sent to us either by email to support@emuaustralia.com or by post to 72 Barwon Terrance, South Geelong, VIC, 3220, for the attention of Online Customer Services. To meet the cancellation deadline it is sufficient for you to send your communication concerning the exercise of your right of cancellation before the Cancellation Period has expired. You must send back the Products to us in their original condition with the appropriate purchasing documentation, without undue delay, and in any event not later than 14 days from the day on which you communicate your cancellation from this Contract to us. The deadline is met if you send back the Products before the period of 14 days has expired. You will have to bear the direct cost of returning the Products. We may make a deduction from the reimbursement for loss in the value of any goods supplied, if the loss is the result of unnecessary and inappropriate handling by you. Delivery times may vary. However, we aim to deliver your Products within 2 to 7 business days to any given location. All deliveries can be tracked online and this tracking information will be sent to you once your Products have left our warehouse. It is your responsibility to ensure correct delivery details are provided. We are not responsible for reshipping orders at our expense if incorrect details are provided. Delivery shall be completed when we deliver the Products to the address that you gave us and the Products will be your responsibility for tha time. The Products will be at your risk from the time of delivery. Ownership of the Products will only pass to you from the time of payment. If you do not pay for any Products on the due date, EMU is irrevocably authorised by you to enter your premises (or any premises under your contorl or as your agent if the Products are stored at other premises) and use reasonable force to take possession of the Products without liability for the tort of trespass, negligence or payment of any compensation to you or anyone claiming through you whatsoever. If any of the Products are not paid for in full by the due date, you must not allow any person to create, have or acquire any security interest in the Products. You acknowledge that EMU holds a security interest capable of registration pursuant to the Personal Property Securities Act 2009 (Cth) (“PPSA”) in all Products (including all present and after-acquired Products which have not been paid for) and in all present and after acquired personal property of yours to secure payment of the amount you owes to us from time to time. You further acknowledge that the security interest will continue until EMU gives a final release in respect of it. You acknowledge and agree that EMU may take all necessary steps to register its security interest under the PPSA, and hereby irrevocably consents to EMU doing so. You further undertake to promptly provide any information or supply any documentation and do all such things as required by EMU to enable it to perfect its security interest in the Products or other personal property of yours in accordance with the PPSA. You acknowledge that the Products constitute commercial property and you hereby waive your right to receive notification from EMU of the registration of the security interest pursuant to section 157(3) of the PPSA. The price of any Products will be as quoted on our Website in Australian dollars from time to time, except in cases of obvious error. You must make payment for Products in advance by credit or debit card. We will not dispatch the Products to you until your payment for the Products purchased is approved. You acknowledge that you have made due inquiries and rely on your own skill and judgment when deciding whether the Products are fit for all the purposes for which products of the kind are commonly supplied. Subject to any specific warranties offered in relation to specific Products or those implied by law, we do not offer any guarantees or warrantees in relation to the Product(s). It is your responsibility to satisfy yourself that Products are of a description, quality and character suitable for the purpose for which they are purchased and, to the extent permitted by law, EMU shall not be liable in any way for any loss or damage (including direct, indirect or consequential) arising from your failure to so satisfy yourself. To the extent permitted by law, we exclude all statutory or implied conditions and warranties and any other liability we may have to you (including liability for indirect or consequential loss) that may arise under statute or at law including without limitation for breach of contract, in tort (including negligence) or under any other cause of action. · paying of the cost of acquiring equivalent Products again. You indemnify us against all costs (including legal costs), expenses, damages, accounts or other losses or liability, including those arising from any actions, suits, proceedings, claims or demands, made against or suffered by us, arising out of supplying the Products in accordance with these Terms or arising out of the you breaching any of your obligations (which includes any negligent act or omission by the you or your agents) under these Terms. Nothing stated in these Terms shall be construed as an implied or express transfer of the intellectual property rights to you or any other party. All samples, drawings, descriptive matter and specifications issued by us and published on the Website are issued or published for illustration only and do not form part of the Contract unless specifically referred to therein. You may not transfer any of your rights or obligations under these Terms without our prior written consent. We may transfer any of our rights or obligations under these Terms without your prior written consent to any legal entity that we enter into a joint venture with, purchase or are sold to. You may not, without the consent of EMU, raise a set off or counterclaim available to you against EMU in reduction of your liability under these Terms. Contracts for the purchase of Products through our Website and any dispute or claim arising out of or in connection with them or their subject matter or formation (including non-contractual disputes or claims) or the use of this Website will be governed by the laws of the State of Victoria, Australia. Any dispute or claim arising out of or in connection with such Contracts or their formation (including non-contractual disputes or claims) or the use of this Website shall be subject to the non-exclusive jurisdiction of the courts of the State of Victoria, Australia.